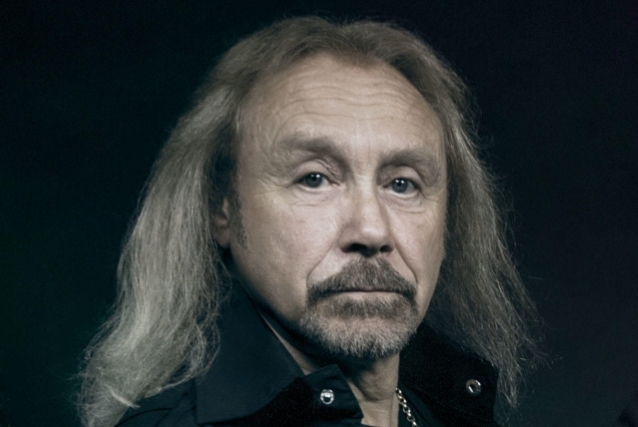 Ian Hill says that "there is no reason" why JUDAS PRIEST shouldn't be able to continue making albums, even after guitarist Glenn Tipton's Parkinson's disease diagnosis. Asked by Greece's Rockpages TV if PRIEST can carry on without Glenn as a full member, Ian said (see video below): "That remains to be seen. But there's no reason why we shouldn't. I mean, Glenn is still mentally fine — all of his mental powers are still in place. So there's no reason why the songwriting team, at least, shouldn't carry on; there's no reason why it shouldn't. Glenn's problem, for the most part, is the stamina part of things. He only gets up [occasionally to play with us] for three or four songs, and for those 10, 15 minutes, he's fine — he can play fine. So there's no reason why it shouldn't continue; there's no reason why there shouldn't be another record; and there's no reason why Glenn shouldn't be one of the writers on it —at least — and play his part. That's all possible — at the moment, of course." Back in March, Tipton said that he was taken aback when he was first diagnosed with the later stages of Parkinson's disease. "It's a weird thing, because I knew something was wrong, but you don't like to admit it to yourself, and maybe delayed getting it diagnosed," he told the 105.7 WAPL radio station. "And I was sort of shocked when I was eventually diagnosed and they told me that I've had it for over 10 years. And it answered a lot of questions, you know, for me. But... life goes on. There's a lot of people who are suffering, and you've just gotta get on with life and do your best." Tipton went on to describe Parkinson's as "a pretty cruel disease. It gets you in that way," he said. "Some days you have good days, some days you have bad days, and I suppose the older you get, you get more and more bad days. But it's great to have a goal in life, and my goal in life is to tread water, not sink — swim and just beat it in any way I can. So it's good to have that ambition in life, that goal, something to aim for. And that's how I'm approaching it." PRIEST recently completed a U.S. co-headlining tour with fellow classic heavy rockers DEEP PURPLE.